The Owenashad river and its bridge are situated on the Lismore Cappoquin Road bounded by the roads to Ballyduff and the Vee. The Owenashad riverside walk has been a traditional walk used by the people of Lismore for many generations and is seen at its best in the Springtime. However in recent years it had become overgrown and unsafe underfoot. The river bank had also become eroded in places due to the natural flow of the river and occasional flooding. 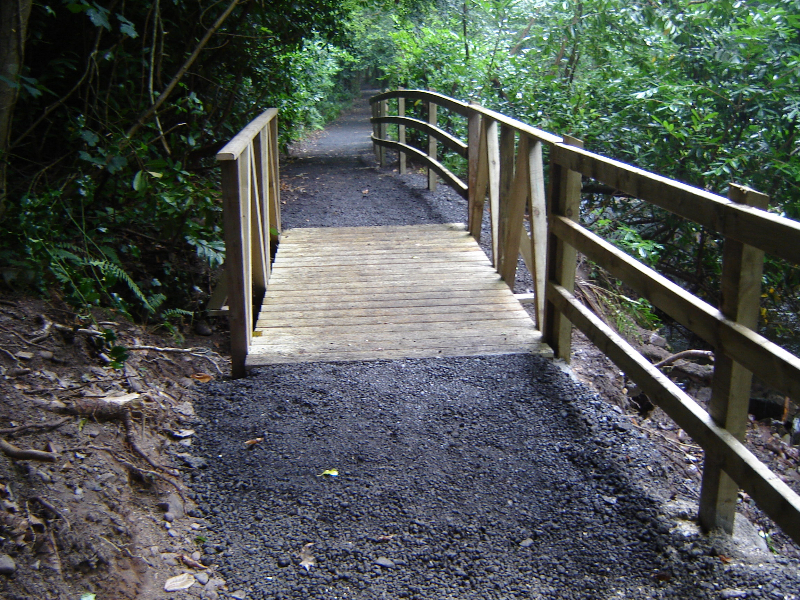 Lismore Tidy Towns decided to undertake this project to make the woodland walk more accessible and safer for townspeople and visitors and to help them enjoy this area of natural beauty. Work on this project commenced on Monday 28th May 2012 and there has been an overwhelmingly positive response from the community. 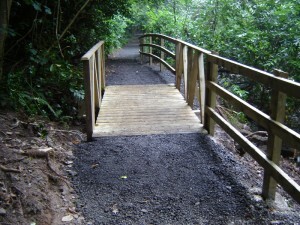 The project involved the old walkway being resurfaced, post and rail fencing put up at parts of the riverbank for safety, some fallen trees removed, an information panel on some of the trees and wildlife to be seen on the walk and tree tags put on several trees. A wide range of plants grow in this area for example, Lismore blue anenome, wild garlic, cowparsley, pignut, wood speedwell, wood anemone, lords and ladies, great woodrush, toothwort and 4 species of fern. Throughout the development of this project every effort was made to ensure the protection of the above species for present and future generations to enjoy. Lismore Tidy Towns would like to thank the following for their support with this project , Waterford Leader Partnership who provided 75% of the funding, Lismore area office Waterford Co. Co., Lismore Estates, National Parks and Wildlife, Heritage Officer Waterford Co. Co., Red Heaven Design, the Lismore community, Lismore Town Council and Mr Jason Cunningham, contractor.